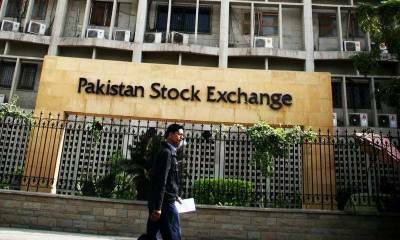 Karachi (Staff Report): The Pakistan Stock Exchange (PSX) started the week with bullish trend as the benchmark KSE-100 index gaining 53 points, or 0.11 per cent to reach 47,943 points. Volumes were led by textile composite and cement company stocks as the benchmark index oscillated between a low of -157 points to a high of +200 points. Stocks of 350 companies were traded, of which 125 gained in value, 206 declined, and 19 remained unchanged. Approximately 49.1 million shares had changed hands by the end of the trading session, with a total worth of nearly Rs 5.6 billion.